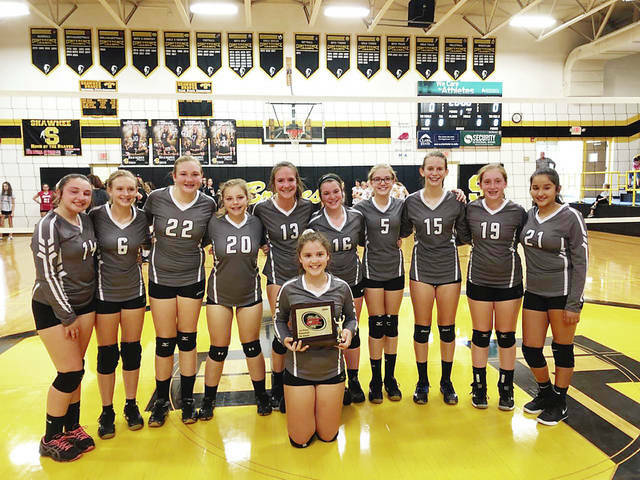 Graham’s Middle School 7th grade volleyball team won the Central Buckeye Conference volleyball tournament. The team finished its season 18-0. The Falcons beat London 25-20 and 25-17 in the semi-championship match. The Falcons won the championship beating Ben Logan in 3 sets 25-20 25-27 and 25-22. Team members areAva Prince, Teagan Setty, Marissa Pine, Carissa Tourney, Whytney Faulkner, Shae Conrad, Ellie McDaniel, Sarah Lewis, Alondra Nunez, BrookLynn Rogers and Taylor Kizer.